Peace and privacy abound in this sprawling 2.42 acre LAKEFRONT property! 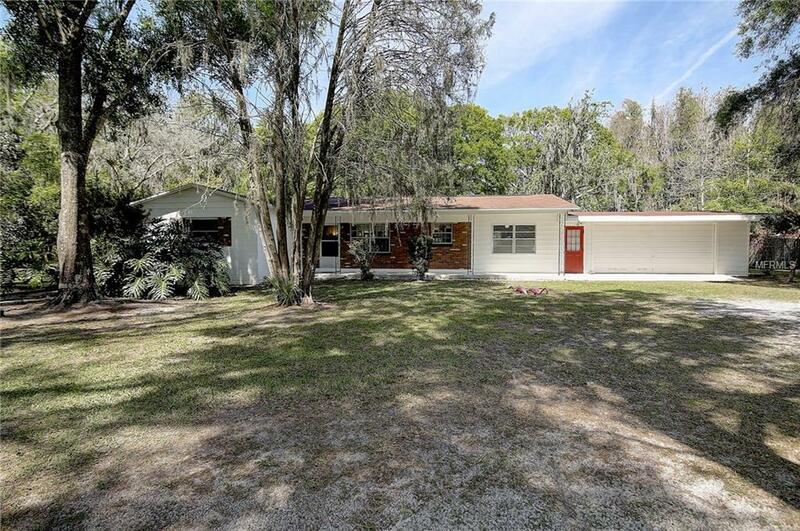 A charming 3br/2ba/2cg home sits on an oversized 1 acre + lot and sale includes the adjacent 1.25 acre lot! Endless opportunities for those looking for lots of land in a non-deed restricted area and with NO HOA FEES! Meticulously maintained, this pristine one story offers 1262SF and eagerly awaits your personal touch! The bathrooms and the kitchen are all loaded with vintage charm! All three bedrooms are bright and offer ample space. A bonus room provides the perfect space for a playroom, home office, or 4th bedroom! A charming screened porch is ideal for entertaining or just relaxing with a good book. Build onto the existing home or design a brand new custom lakefront home! You will embrace the private and peaceful setting- but with the convenience of being minutes from the heart of Land O Lakes! This lakefront escape is truly a must see! This listing includes PID# 12 26 18 0020 00100 0270 AND adjacent vacant land- PID# 12 26 18 0020 00100 0280 Sellers will NOT split land. Sale includes both, no exceptions.